From Northern Luzon to Tawi-Tawi, every Filipino has their own way of making Adobo. But did you know that even if all of us answer that Adobo is our National Dish, it is not yet so. In 2014, House Bill 3926 led by Hon. Rene Relampagos of Bohol filed the bill in congress to declare Adobo as our National Dish, but till today, the bill is still up for deliberation. 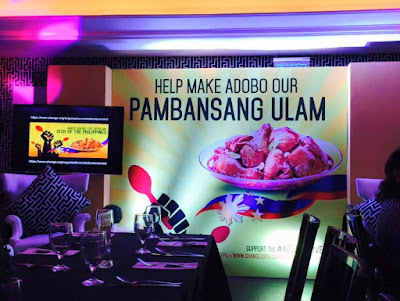 The Adobo Movement is an advocacy that hits close to home because Adobo is a dish that is both personal, Adobo is a familiar dish that reminds us of home and family. We remember our mother and lolas and even aunts cooking Adobo. It also identifies us as a Filipino. 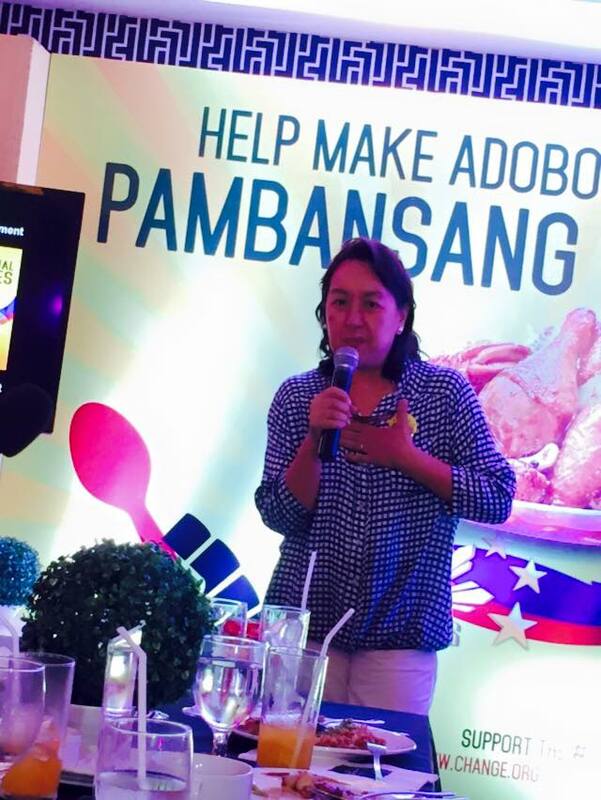 Ms. Nancy Reyes- Lumen, author of "The Adobo Book" is very passionate about this advocacy. 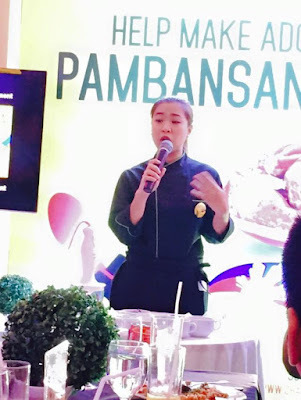 Her book is a compilation of recipes, essays, and trivias about our beloved Adobo. Chef Mitchie Sison demonstrated her Adobo pate, and also prepared different Adobo dishes (see first photo). Be a part of Adobo Movement and join the cause. 500,000 thousand signatures is needed to support House Bill 3926 to officially instate Adobo as the National Dish of the Philippines. 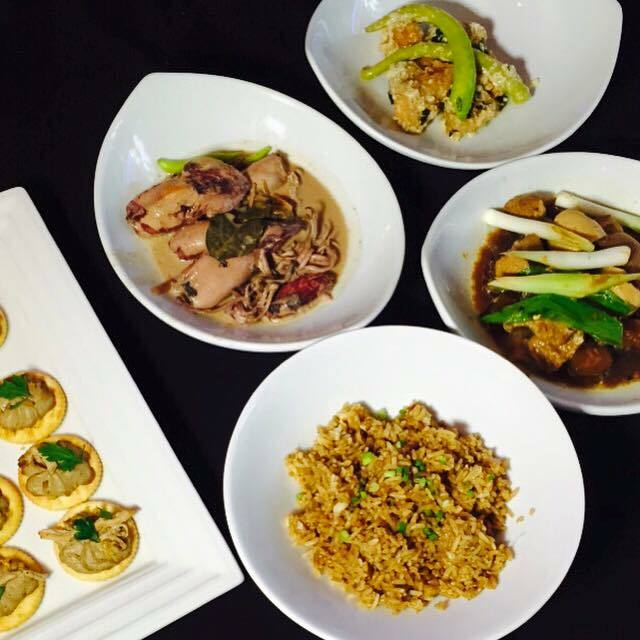 Visit Adobo Movement and sign the petition button. I did not know meron na palang ganito. Good read!